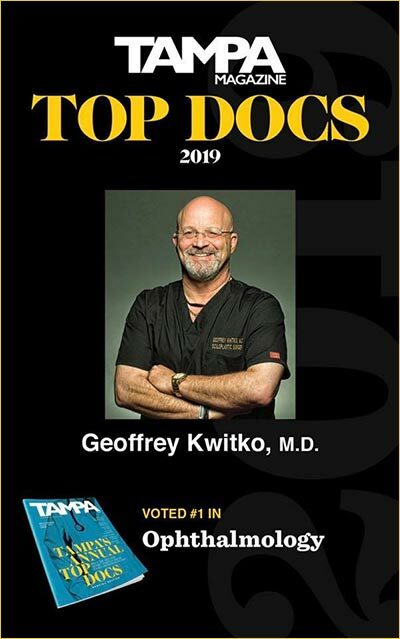 Tampa and Bay Area Dr. Kwitko proudly serves the Ptosis Eye Surgery and Treatment needs of Residents in Tampa, St. Petersburg, Clearwater, Largo, Hillsborough County, Pinellas County and throughout the Bay Area in West Central Florida. 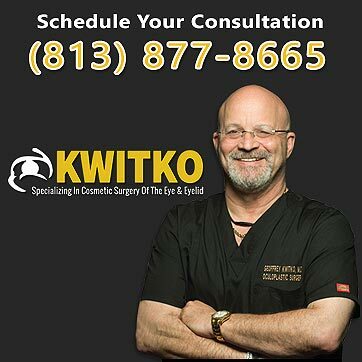 Call 813.877.8665 today to schedule a confidential consultation with Oculoplastic Surgeon, Dr. Geoffrey Kwitko about your Ptosis Eye Surgery needs and goals. Ptosis is the drooping of the upper eyelid. 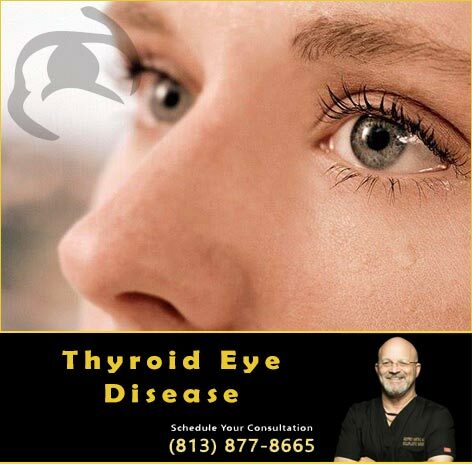 It can occur on one or both eyes and, depending on the severity, may require surgery to correct. In some patients ptosis is barely noticeable, while in others the eyelid droops so low it covers the entire pupil. Ptosis may affect children or adults. If you or a loved one require ptosis surgery in Brandon, Florida, it is important to consult with a seasoned Brandon eye surgeon. Dr. Geoffrey M. Kwitko, M.D. F.A.C.S. 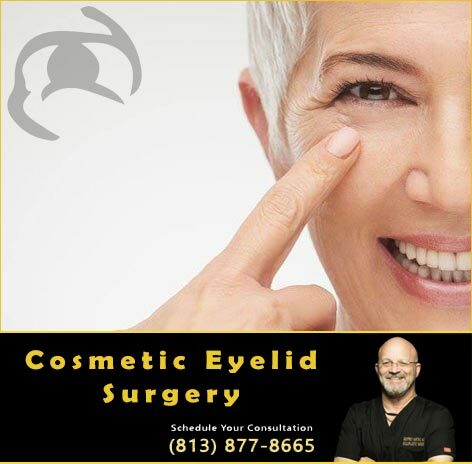 has more than 30 years of experience performing eyelid surgery in Florida. A tumor in the eye. As a side effect of cataract or other corrective eye surgery. Diabetes or other systemic diseases. Problems with the muscles that lift the eyelid, known as the levators, can also cause ptosis. During ptosis surgery, the surgeon lifts the eyelids by tightening the levator muscles. If your case is severe, it may be necessary to attach the eyelid under the eyebrow so the forehead muscles can lift the eyelid in place of the levator muscles. The eyelids will be higher following surgery but in some cases may not appear symmetrical. The decision to have eyelid surgery is one that should not be taken lightly. 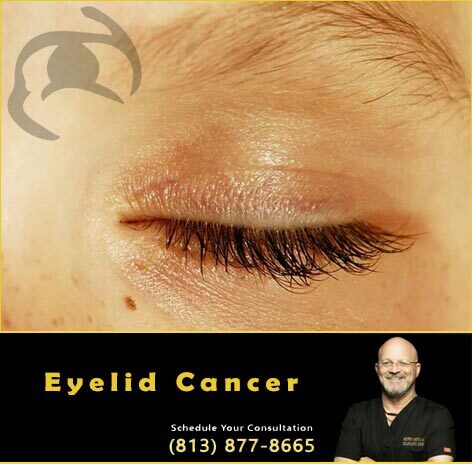 If you or a loved one is considering eyelid surgery in Florida to correct ptosis, it is crucial that you speak with an experienced eye surgeon in Florida. Dr. Geoffrey M. Kwitko, M.D. F.A.C.S. has dedicated his career to eye surgery in Florida. 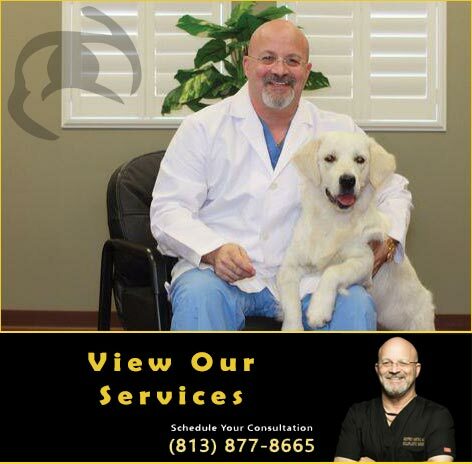 With more than 30 years of experience, he is the right choice to consult regarding your eye surgery. 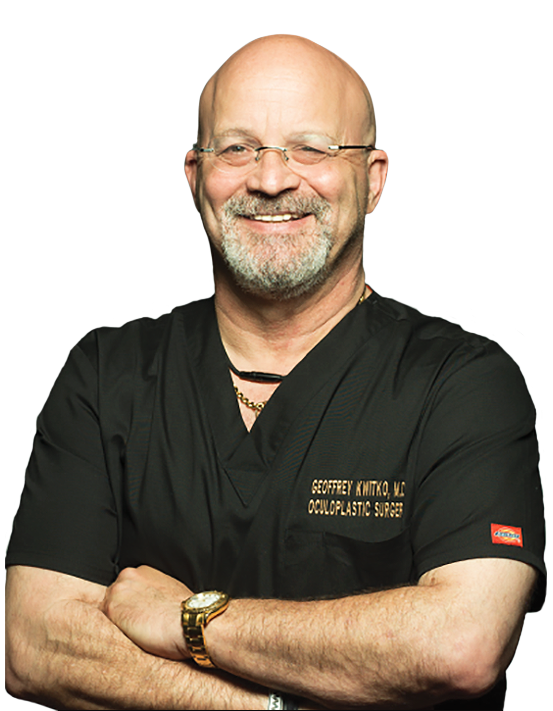 Call 813.877.8665 today to schedule a confidential consultation with Oculoplastic Surgeon, Dr. Geoffrey Kwitko about your Ptosis Eye Surgery needs in Tampa, St. Petersburg, Clearwater, Largo, Hillsborough County, Pinellas County and throughout the Bay Area in West Central Florida.